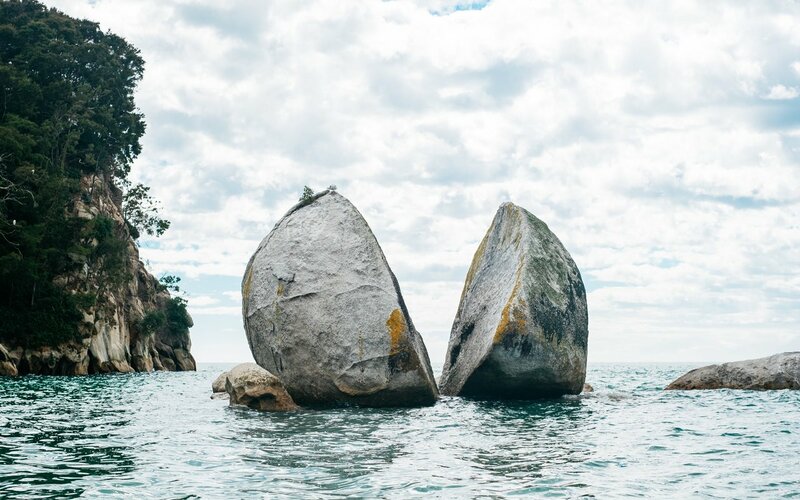 The naturally occurring rock formation, known as Split Apple Rock, is located in Abel Tasman National Park just off the coast between Kaiteriteri and Marahau. It is made of granite and is estimated to be approximately 120 million years old. 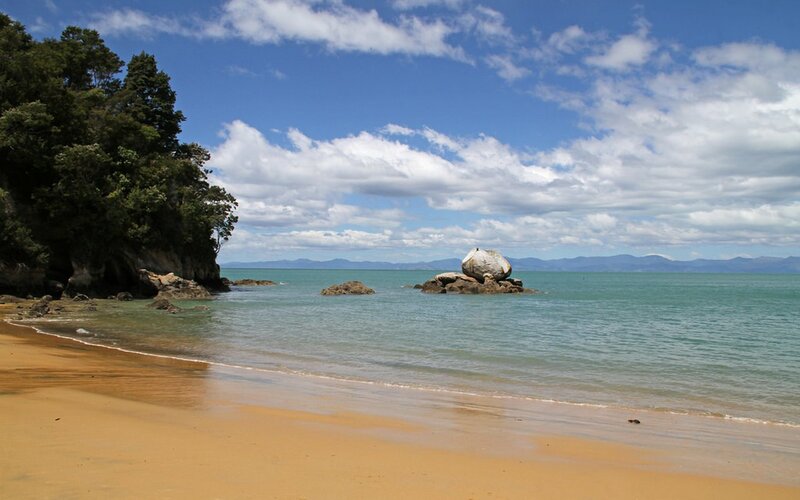 The boulder was divided by two feuding gods who were fighting to possess it, according to Māori legend. They used their enormous godlike strength to break it in half to solve the problem. 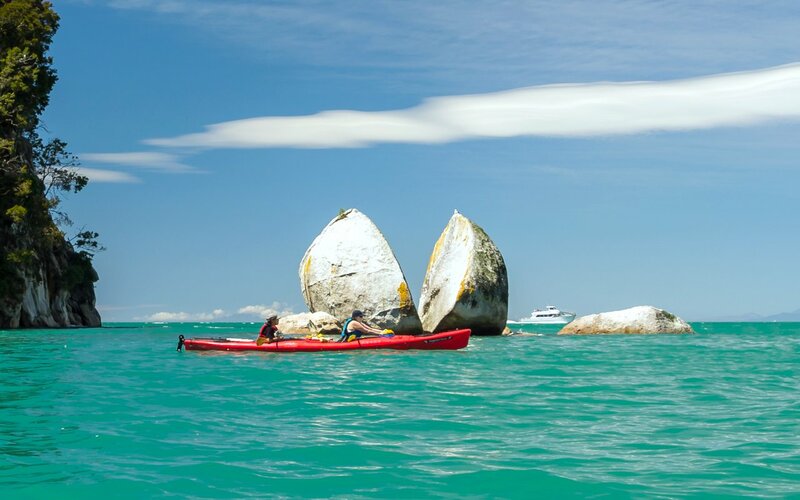 As such, the rock's Māori name is Tokangawhā, meaning "open rock burst." A more scientific theory is that water froze during an ice age into a crevice in the rock and then split the stone. The rock is about 160 feet off the shore. Not to hard to find, 10 min walk down (well looked after track) and 15min back up. Great little beach, caves for the kids to explore.